Construction spending hit a record high last December, and the industry shows no signs of slowing down: contractors build nearly $1 trillion worth of structures each year, with total investment totaling more than $1.23 trillion. Those figures illustrate the massive opportunities for contractors to cash in; but how can independent home building contractors compete with large companies? With smart marketing campaigns designed to maximize your return on investment. Here are 10 easy ways independent home building contractors can compete with large companies – and win! 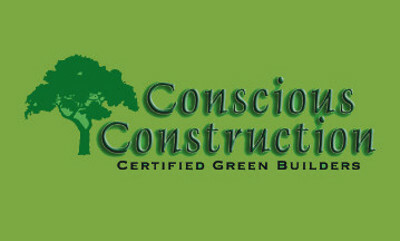 Print yard signs to place in front of the homes you’re working on. Neighbors and passersby love to check out new construction and renovation/remodeling projects, and yard signs make it easy to tell them who is responsible for the impressive work. Keep your yard sign design simple: all you need is your logo, website URL, and phone number. Keep door hangers handy and distribute them to neighboring homes whenever you’re on-site. If you’re adding an enclosed porch addition to a customer’s home, for example, you can place door hangers on the nearest 20 homes. Combined with your yard signs, door hanger printing is a powerful way to showcase your work and deliver a special offer that neighbors will want to take advantage of so they can keep up with the Joneses. Join business networking groups or get involved with charitable organizations to network your business. Remember that people do business with people, so the more other professionals know you, the more work you’ll get. Be sure to print business cards to keep on-hand so you can leave your contact information with everyone you meet. Home improvement shows, local festival booths, and other events are excellent opportunities to get the word out about your contracting business. Print brochures and flyers to hand out to interested prospects and see if you can collect contact information so you can easily follow up. The more ubiquitous your branding, the more likely you’ll be the first call people make when they’re ready to build or remodel. Print affordable vinyl banners and place them in strategic high-traffic locations. Print car door magnets to market your contracting company on the go, whether you have a single work vehicle or an entire fleet of company trucks. Make a splash by printing a large format wall graphic that can’t be ignored. Partner with non-competing businesses who share your audience to get more mileage out of your marketing dollars. Ideas include partnering with a home décor retailer or landscaper to provide construction and remodeling services to their customers (you can print brochures and flyers to leave with them). You could also try partnering with a plumber, electrician, landscaper, and other home service providers to print refrigerator magnets featuring preferred local service providers (split the printing and mailing costs). Add value to your customers lives with print marketing tools that pull double duty as useful conveniences. For example, you can print fridge magnets that customers will use to post notes and photos on their refrigerators – they’ll see your brand every time they go to the fridge for a glass of milk. Print calendars that showcase your most exceptional work each month to put your branding in front of customers 365 days per year! 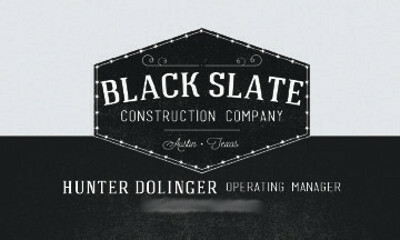 Business card design by Chase MacLaskey for Black Slate Construction Co. Direct-mail postcard printing represents one of the most powerful marketing strategies for contractors, in particular, because you target the right homeowners by demographics such as income, location, and age. Create a mailing list full of potential customers, then print postcards that deliver a special time-limited discount offer or some other incentive to motivate response. Stand out from competitors at the mailbox with ultra postcard printing: postcards that feature an attractive band of edge color. Some large companies hire inexperienced sales reps to give on-site estimates. As a smaller contractor, you can demonstrate how much you truly care by putting on a professional appearance that customers will appreciate – and, more importantly, trust. One way to show how professional you are is to leave customers with professionally prepared estimates in branded packages: print pocket folders, sales sheets, flyers, and brochures to place in them along with your business cards. As noted, people do business with people, and when they’re making substantial investments in their homes, they need to trust that you can deliver as promised. Thus, fostering personal relationships can go a long way toward getting new business and influencing word-of-mouth marketing. A great way to do this is to print greeting cards to send to customers on special occasions: birthdays, anniversaries, holidays, or just because. The big companies aren’t doing this so greeting card marketing can be a powerful way to differentiate yourself, build relationships, and earn the trust you need to earn the profits you deserve. Ready to beat the big competitors and make a name for your contracting business? Maximize your return on investment with discount printing services today!